Hello Arts enthusiasts and supporters of Arts for Lawrence and the Theater at the Fort! Casting “The Old Man and the Sea,” based on the novel by Ernest Hemingway, a world premiere multimedia production interpreting Hemingway’s work without dialogue. The production is adapted and directed by Luis Oliva, music by Sean Szolek-Van Valkenburgh. All auditions will take place at the Theater at the Fort at 8920 Otis Avenue. Everyone is welcome and encouraged to audition. 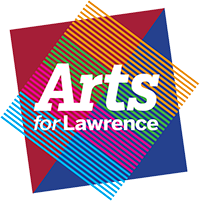 We hope to build the Lawrence Players, a sub-group of Arts for Lawrence, to produce one significant drama performance annually.